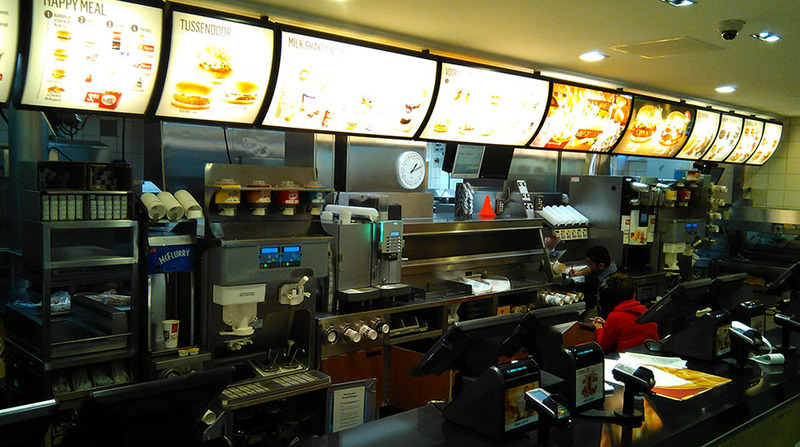 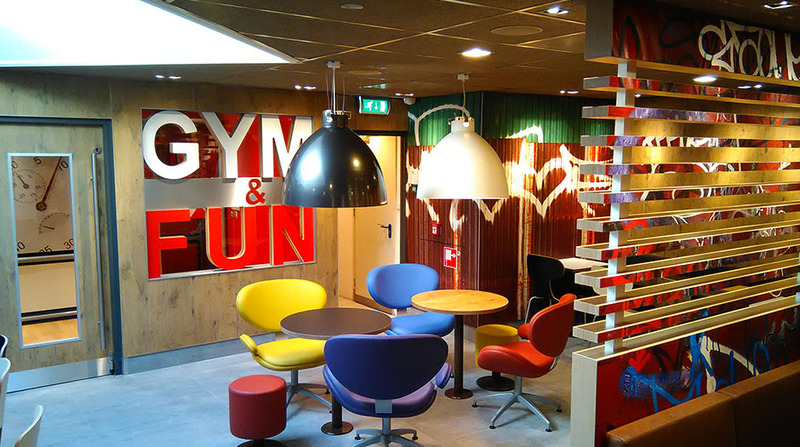 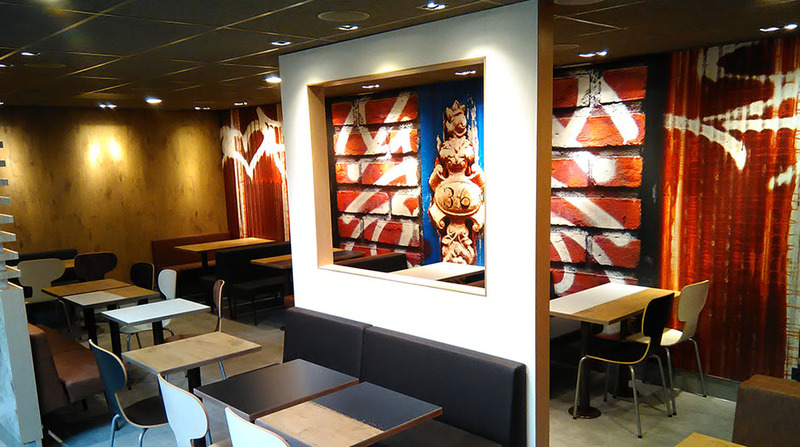 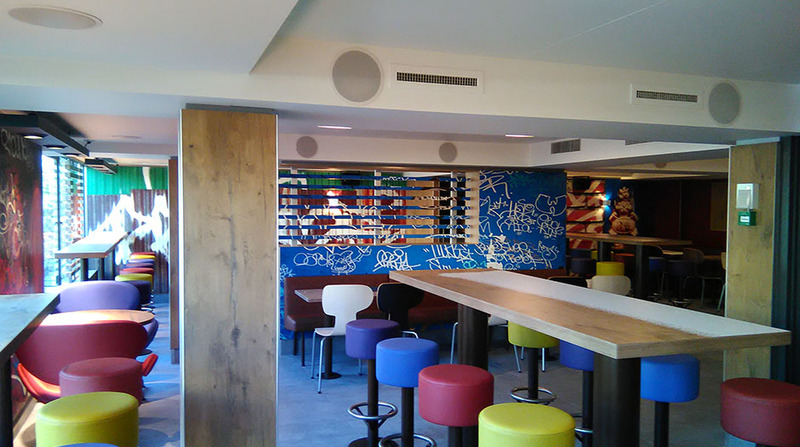 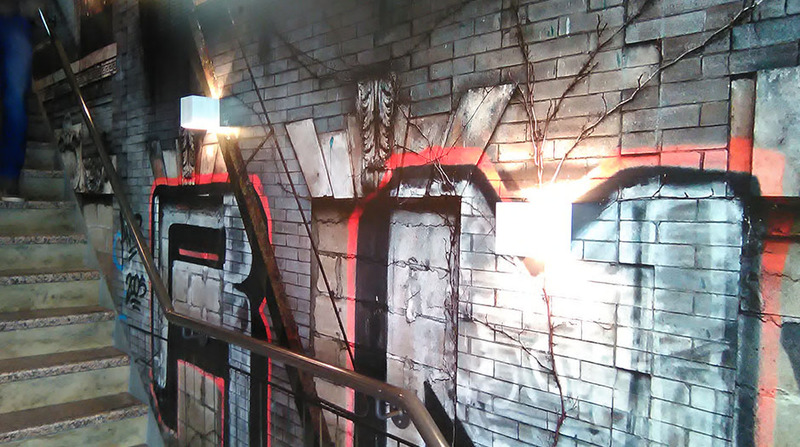 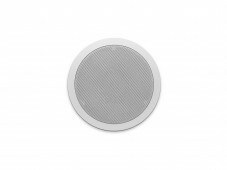 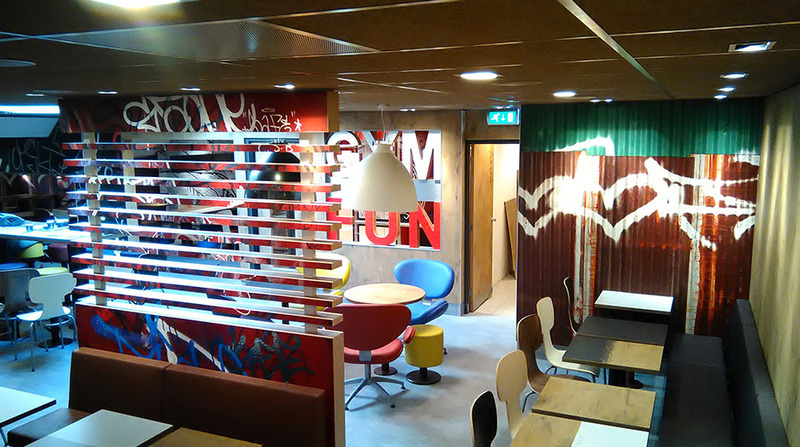 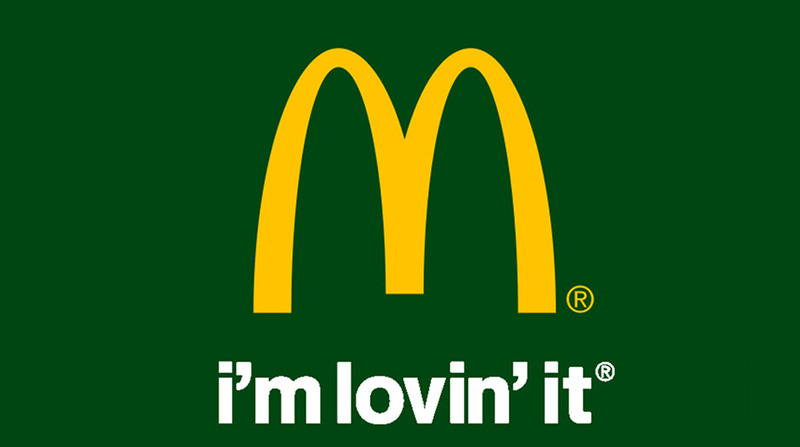 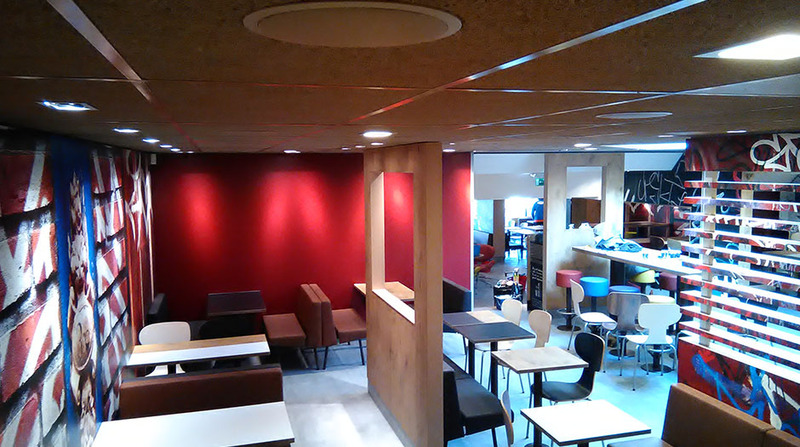 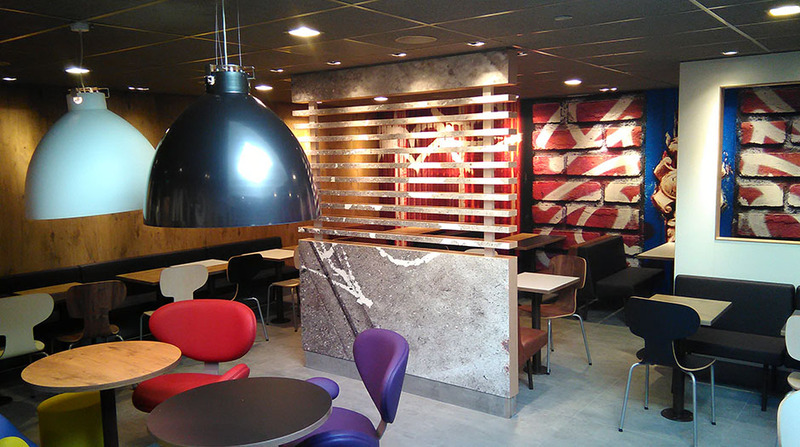 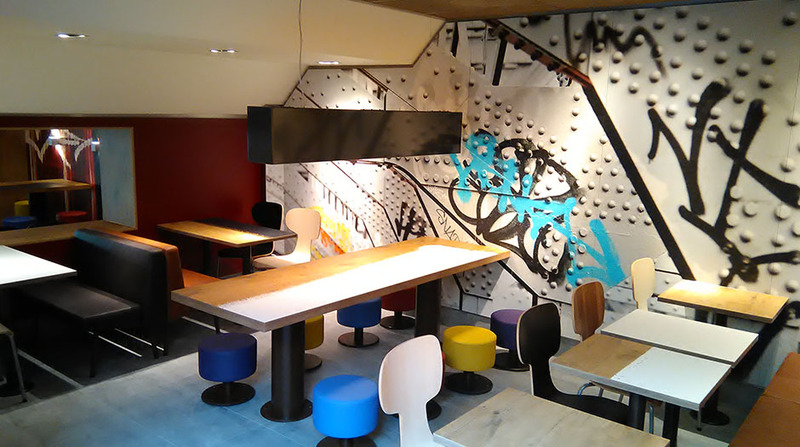 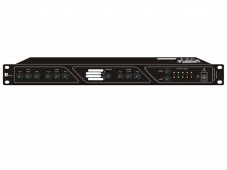 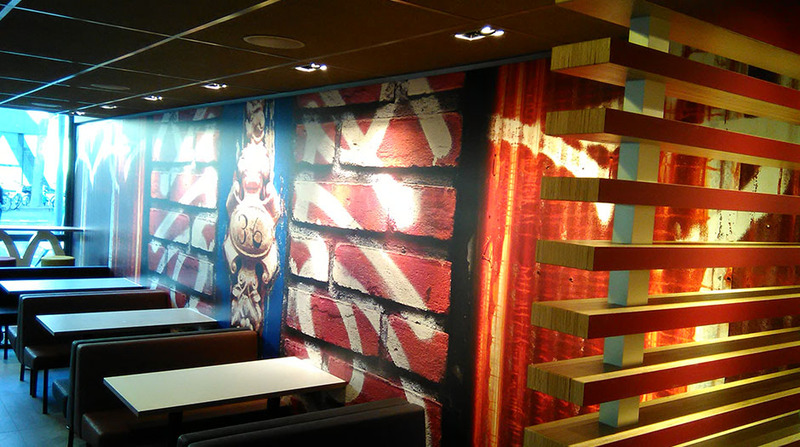 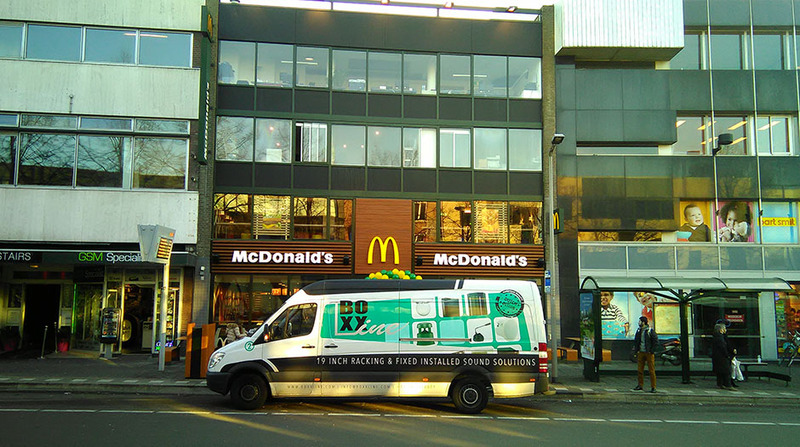 McDonalds entrepreneur Ab Troost chooses for an impressive club sound system by Boxxline Audio. 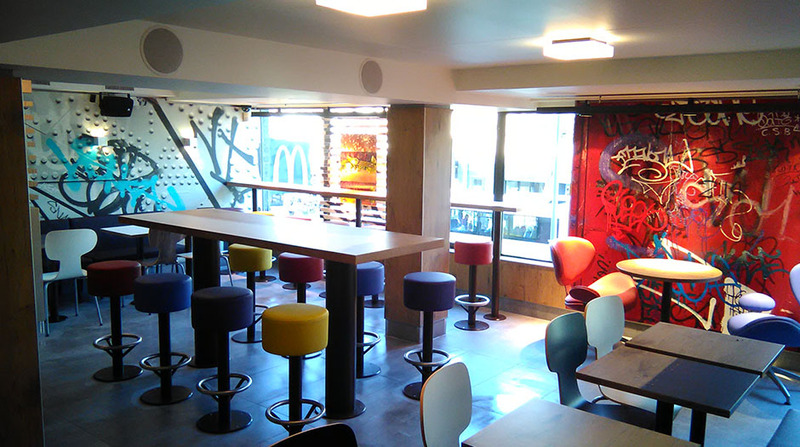 This McDonalds restaurant is 35 years old, who was then the fourth McDonald’s of The Netherlands that was opened. 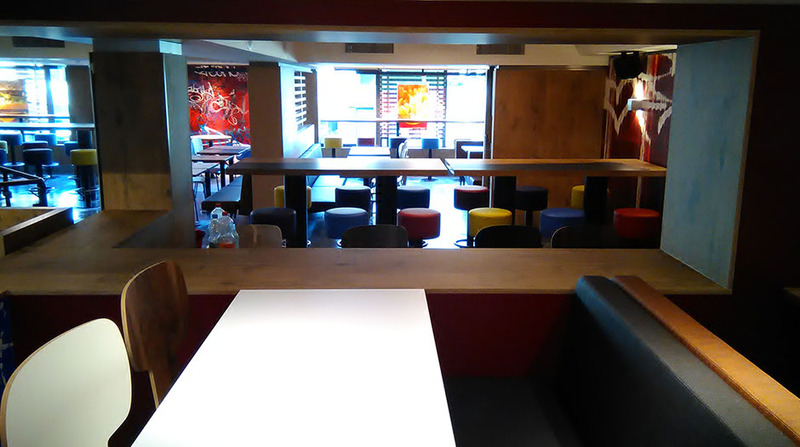 Ten years ago, the location was last changed. 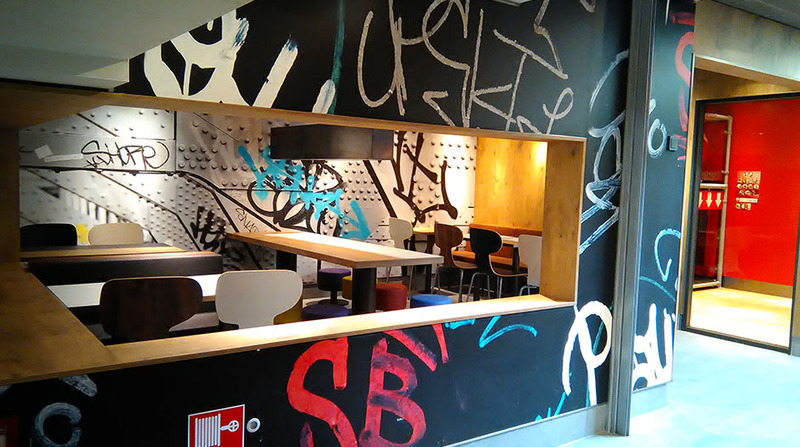 “It’s time for something new,” said Ab Troost. 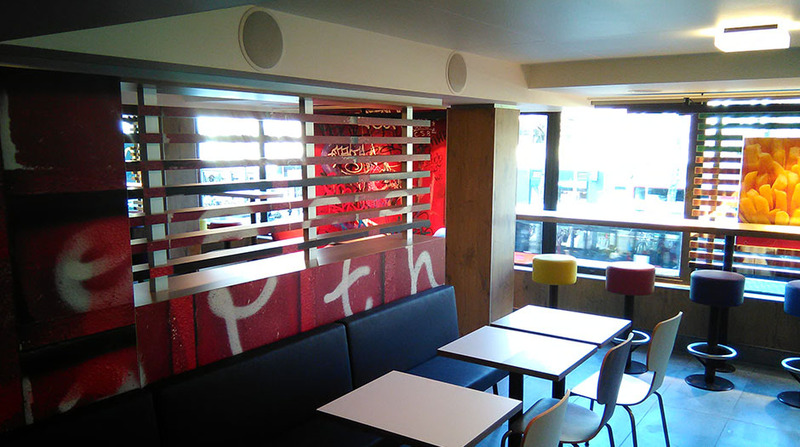 The location of the restaurant, adjacent to the horeca centre of Breda, has also decided to choose for a club atmosphere. 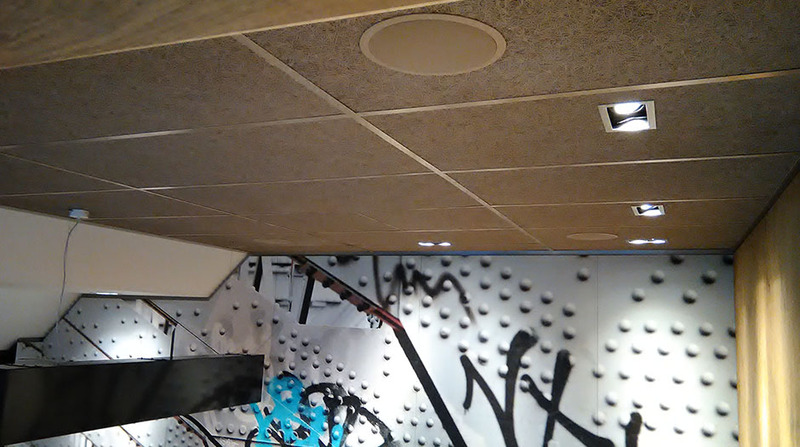 There are more than 80 speakers. 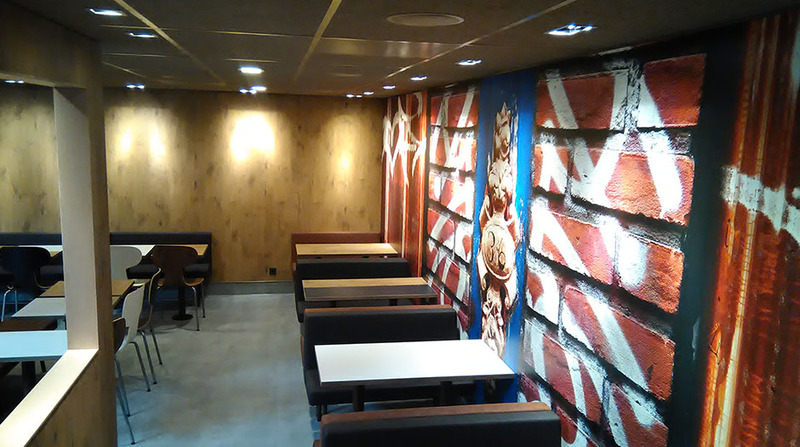 Entirely provided by RSL & Partners BV, starting from the user friendly and vandal proof sound plan up to and including the installation. 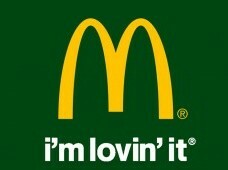 DJ-School Breda on Friday afternoon and Saturday will ensure that there is a DJ live playing. 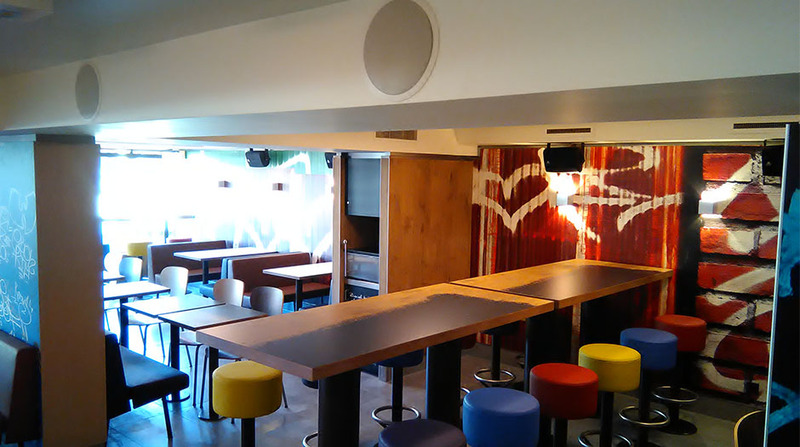 For the upcoming talents is also a place reserved in a real DJ-Booth.